JESSIE WEIDINGER - ROUNTREE FLOWERS Rountree Flowers creates beautiful customized floral designs and decor for private events large and small. 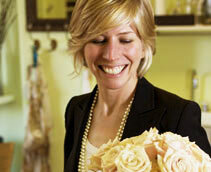 Located in Manhattan, Rountree Flowers collaborates with luxury retail brands as well as corporate clients. Rountree Flowers' bridal work has been featured in Elegant Bride and BRIDES Magazine as well as on TheKnot.com and several wedding design blogs. White light: White is defined by some as “the color of milk or fresh snow, due to the reflection of most wavelengths of visible light.” When designing with white flowers, lighting is absolutely key. Candlelight dances through the luminescent petals and you have a brilliant glow to your entire design. In the absence of color: For a “non-color,” white has quite a color range. Some varieties of white flowers are markedly on the yellow side of the spectrum, like calla lilies, dahlias, certain roses and peonies. Others lean more toward pink (“Vendela” is my favorite white rose with a hint of fleshy pink). Consider these subtleties when you’re designing your White Party. 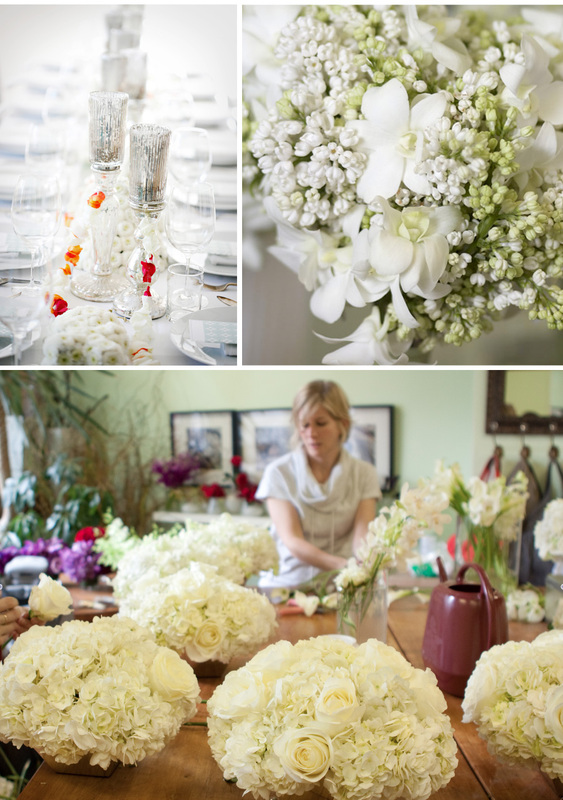 How you package it: White blooms are truly the “blank canvas” of the flower world. Depending on your design they can be traditional or contemporary, feminine or masculine, tailored or wild, daytime or evening. The personality of your white arrangement is informed by the container and environment more so than that of any other color. Create texture through petals: Because of the cohesive simplicity of a white design, the beauty and impact of a white event comes from texture. Like a white fox fur or white velvet banquet, white flowers can show off the soft surfaces and curves of their petals. The effect is clean and luxurious whether you are going for a romantic or contemporary vibe. 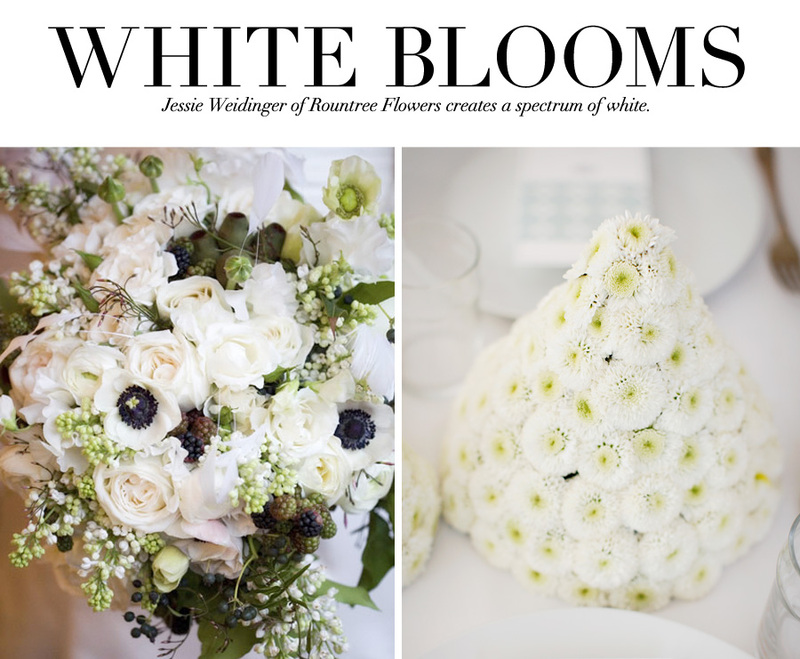 Mix it up: Do combine white blooms with other whites, metallics, black, pastels or green foliage. Don’t combine them with red or dark purple flowers without lots of mid-tone flowers to make the arrangement cohesive.